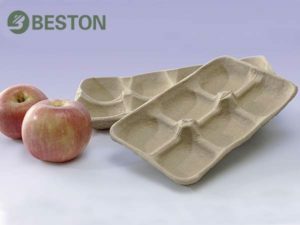 Egg tray machine aims to recycle waste paper into pulp molded products, such as egg trays, egg cartons, fruit trays, shoe trays. 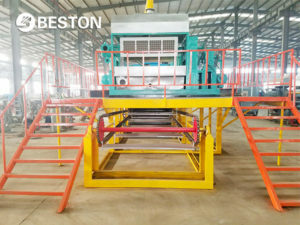 Beston (Henan) Machinery Co., Ltd is a professional global manufacturer of pulp molding machine. We are engaged in providing diversified pulp molding production lines to maximize customer return on investment. In recent years, our products have been successfully exported to more than 30 countries and areas, like Sri Lanka, Vietnam, Russia, Nigeria, etc. Based on the credo that we do more than products, we have been highly praised by co-workers, distributors, and customers. You will certainly enjoy partnering with Beston Machinery. Based on the innovative spirit and elite team, we have developed advanced pulp forming equipment. 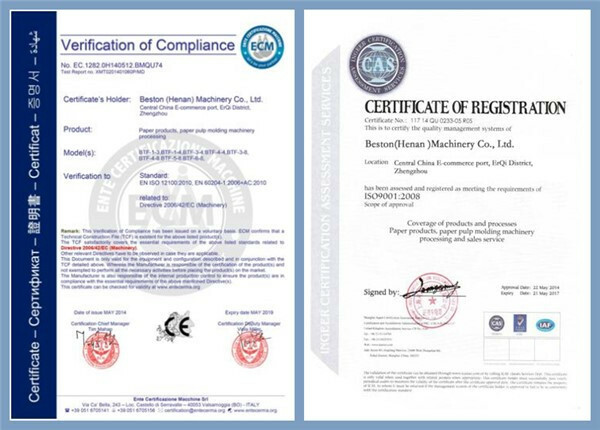 Moreover, all our equipment is strictly tested, controlled and certificated. 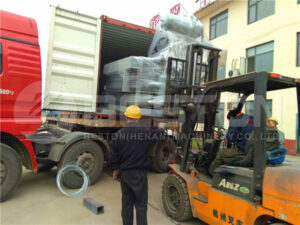 Therefore, our products are popular around the world. Except for the existing production line, the parameters can be adjusted as required. With professional designers and engineers, we always provide the optimal solution for customers based on their actual situations. As a qualified egg tray machine supplier in China, we constantly complete the specifications of our products. So far we have developed single-side, four-side, eight-side and even twelve-side rotary egg tray molding machine for all kinds of customers. There are 3 to 6 molds on each side. In total, the number of molding dies ranges from 3 to 72. With advanced technology and innovative design, our products have successfully served a broad range of industries. The existing products cover egg tray making machine, egg carton making machine, forming machine for seedling trays, fruit trays, and shoe trays, etc. Moreover, you can get all our products at the best egg tray making machine price. 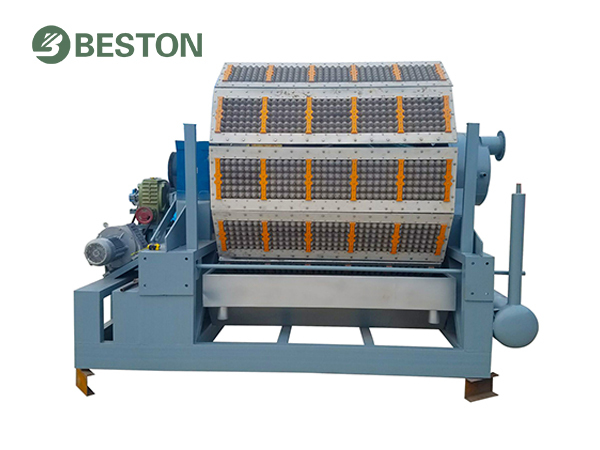 In term of the automatic degree, both semi-automatic and fully-automatic egg tray machines at different specifications are available at a reasonable price from Beston Machinery. We always do more than products. The whole egg tray production line is guaranteed for 12 months. To partner with us, you can get professional advice and scientific training. All our co-workers are ready for you at any time. 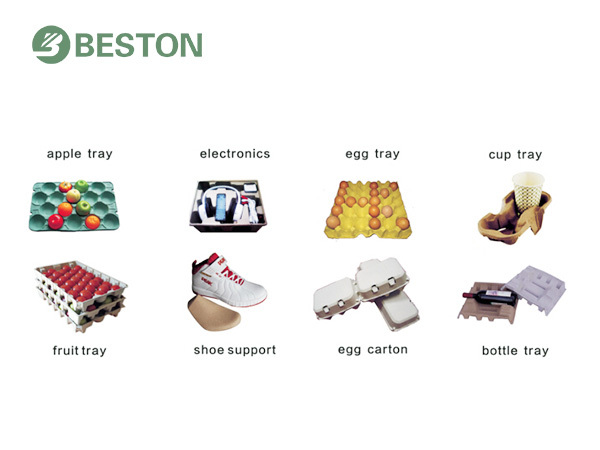 Why Choose Beston Egg Tray Production Line? 1. Wide and cheap raw material source. The raw materials for pulp molding production line include waste paper, old newspaper, old cartons, offcut, etc. These materials are cheap. We can collect scrap paper everywhere easily. Except for the cheap raw materials, this production line consumes fewer workers and energies. In particular, we have taken a new energy-efficient treatment to our egg tray machine. For example, the total power for BTF-2000 is only 37 kw per hour. 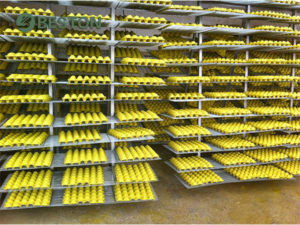 And only 4 to 6 workers are needed for BTF-2000 egg tray production line. We always employ the most advanced equipment and simplify the production line to further minimize the investment costs and maximize the returns. 3. High productivity and broad market. As shown from the parameter list, the output of our egg tray machine reaches up to 9000 pieces per hour. Along with the advancing economy and the rising environmental consciousness, products made from molded pulp are used for a wide variety of fields. There is no doubt that quick and high returns can be expected. This production line is featured with high automation and high integration. The equipment used in the production is simple. Most work is accomplished by machines instead of workers during the whole production process. Besides, the customers can get professional guidance remotely or on-site from our engineers at any time. 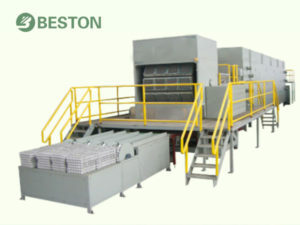 On the one hand, waste paper is recycled into pulp molded products by pulp tray machine. To some degree, more wood can be protected. On the other hand, the egg tray production line is free contamination. Unlike plastic protective packages, pulp products are biodegradable. With these advantages, this project is easy to be supported by the public and government. 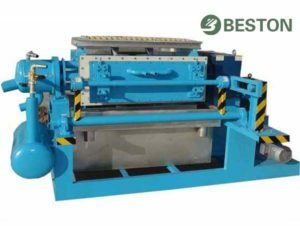 How to Choose a Suitable Egg Tray Machine? Analyzing your basic conditions first. As the old saying goes, suits own is the best. It requires investors to know their own situations clearly. Before investing, you need to analyze the local conditions, including the weather, fuel, labor costs, space, construction materials, etc. Each factor makes great differences. 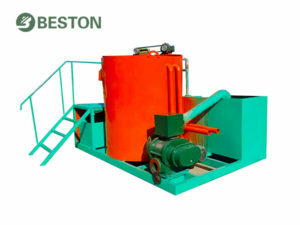 While we Beston will provide you with the most suitable solution on the basis of your resource. For example, BTF-1000 is a prime choice for individual households. If they have limited space, we will advise them an integrated pulping system. 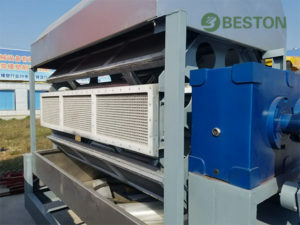 When the drying field is big enough, naturally drying is an optimal selection to lessen the cost of investment. The purpose of our company is to maximize customer return. Besides, a well-performed pulp forming system is the key to a favorable egg tray production line. It decides the productivity of egg tray machine. You should choose an egg tray making machine from the stability of the control system, the qualification rate of egg trays, the electric circuit, the safety, operability, and maintainability. More importantly, the design and texture of molding dies matter the quality of pulp products. 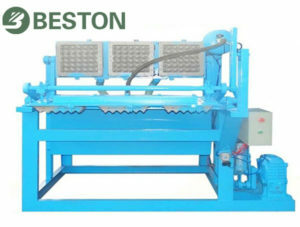 We Beston will provide you with the superior egg tray machine at a reasonable price.